A heartfelt apology is a powerful thing. It’s a show of humanity, of empathy. It can be a moment of incredibly strong connection between two people. It’s also a critical stage in learning, accepting that you have done something wrong, that you have hurt or inconvenienced a person and damaged a relationship, and storing away the lesson to be better next time. This is why teaching children to apologise properly is such an important part of parenting. And it’s why it is so important in customer service. An apology here, followed by swift rectification, can create an attachment to a brand that is much stronger than it was even before the error. And yet, many organisations and the people working for them still seem to have trouble saying sorry. I noticed this initially with the usual frustration of someone who has experienced poor service. For me, it’s typically in a travel context. I spend a lot of time on the road at conferences and speaking gigs around the country, and increasingly around the world. That means a lot of time wasted on failed trains and delayed planes, and in a wide variety of different hotels and rented apartments, which often have their own failings in one way or another. The failure is almost never the issue. Things break. The weather is unpredictable. Occasional failures should be expected. Patterns are less forgivable (take a bow, Northern Rail). But what really drives me, and I suspect other people, mad is when companies deal poorly with the failure. The first thing that should always follow a failure is a genuine apology. A recorded message doesn’t count. All that says is that you expect so many failures that it was worth automating the process, and therefore you aren’t trying hard enough to minimise them. An apology is such a great opportunity to connect with someone and show them that you really care. Why would you hand this opportunity to a machine? More to the point, why would you let a machine take this job away from you? This is where I realised that this is a futurism issue, not just one for customer service gurus. Apologies, as I’ve said, are opportunities to learn and they are moments of great humanity. Machines cannot apologise and connect with people. Given how many jobs machines are likely to be taking in the coming years, shouldn’t we be clinging on to an opportunity to use that uniquely human characteristic of empathy? I have had so many experiences where an apology was expected but not forthcoming, or was at best muted, that I believe this must be a training or policy issue. Are people being taught not to apologise, perhaps to avoid accepting liability? If so, we need to reprioritise. It may be counter-intuitive, particularly to those with an aversion to risk, but I think the cumulative cost of poor apologies would outweigh any accepted liability by many orders of magnitude. The liability risk is more easily identifiable to single cases, but I would be willing to bet it’s a fraction of the cost of lost engagement with a brand. That’s a secondary point though. Our humanity is our greatest asset in tomorrow’s working world. We should resist attempts to minimise it and maximise the value of our relationships with colleagues and customers alike. 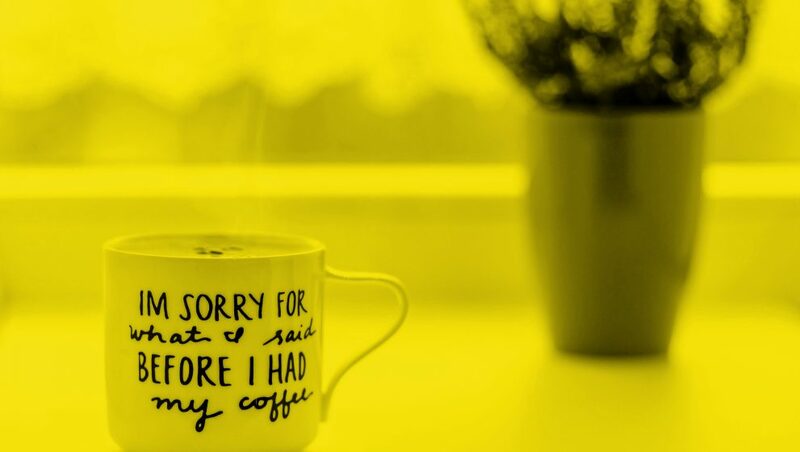 Effective and genuine apologies are part of this value. By all means, use process to minimise the frequency with which they are needed. But too much automation and structure strips the apology of its value.